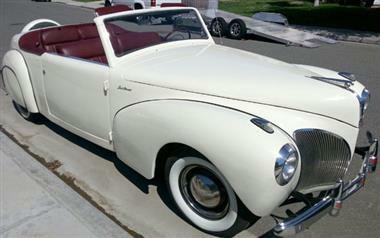 1941 Lincoln Continental in Eastvale, CA for sale. 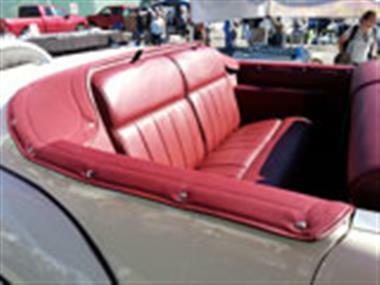 Lincoln Continental Cabriolet. This is one beautiful survivor for the ages! 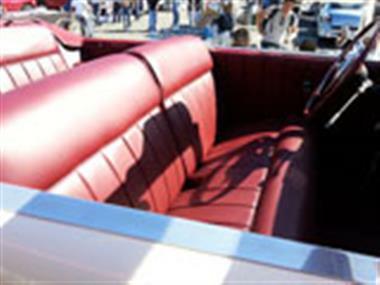 This awesome lincoln continental custom cabriolet convertible is registered till 2016,and ready to drive and have fun with at the shows,or a trophy conversation piece in your garage! It is in excellent condition,and has only 64,872 miles on it,and retains its original v-12 engine! Its updated to a 12 volt system with all new wiring,new battery,nice paint job,new tires,new beautiful interior,as well as,carpeted and paneled trunk with a custom back seat that accesses into the trunk as well,all new chrome,rebuilt manual transmission, all new trim rings and refurbished and polished hubcaps,new exhaust system,and more! No reasonable offer refused on this rare car! 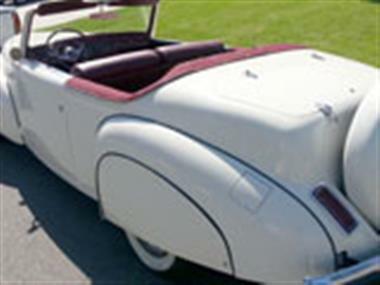 This vehicle is priced $2,277 more than the Average Market Price of $40,223 for a 1941 Lincoln Continental. This is a Fair Deal as it's priced 5.0 % above market avg. The Pie chart below shows the number of ads within different price ranges.